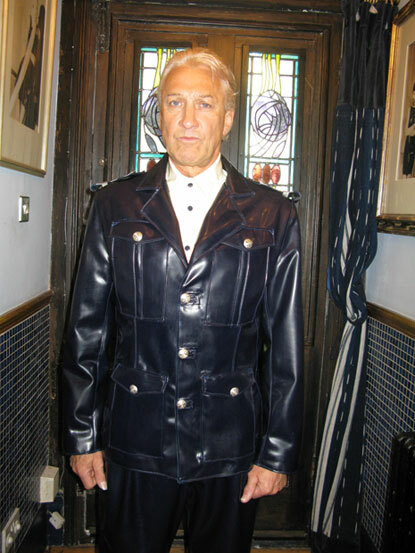 Mans Safari style jacket with front pockets, epaulettes, rever collar and optional buckle belt. 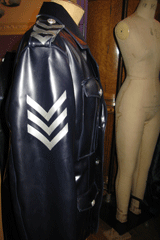 This jacket has been made into a policeman's uniform version with V insignia badge on the sleeves. Back of jacket has a vent. 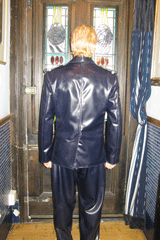 Jacket is fastened with buttons and button-holes.